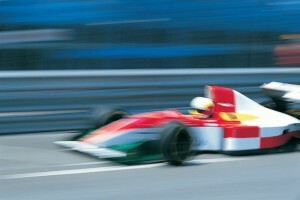 See One of the Most Thrilling Formula One Motor Races in Monaco! Plan your Euro Trip with AESU and make Monaco one of your excursions! Laid out on the winding streets of one of the most densely populated countries in Europe, The Monaco Grand Prix is a Formula One motor race held annually. Considered one of the most important automobile races alongside the Indianapolis 500-mile race, you’ll be on the edge of your seat as you watch modified automobiles screech around corners, rocket down straight-aways, and intricately weave between one another. Known as one of the most intense Formula One tracks, cars are known to careen around hairpin turns, steep elevation, and winding tunnels. Make the grand prix in Monaco an exciting part of your Euro Trip! Considered one of the most dangerous tracks in Formula One racing, The Monaco Grand Prix often incorporates some serious crashing and burning. The race begins with a sharp hairpin turn which weeds out lower skilled drivers quickly. Requiring skilled braking and handling skills, this sharp turn is often the site of some of the first accidents. Winding toward the Portier corner, a curve which requires expert handling, this challenge is key to achieving a good lap. The drivers who stand this test will have a much better chance at victory. Barreling through a straight-away leads our competitors to the tunnel.One of the few flat-out sections of the track, it gives lasting drivers the chance to make up for lost time. Be a part of the action with the only Formula One race tracks to incorporate city streets. During the 4 days of the Monaco Grand Prix, hotels in the surrounding area will get booked up quicker than the racing cars themselves. The entire city of Monte-Carlo becomes a blur of engine smoke by day, and lively parties by night. Don’t miss out on this once in a lifetime opportunity to see racers from around the world compete on an adrenaline-inducing track paired with boisterous celebration. Monte Carlo itself is a bustling city filled with delicious food, vibrant night life, glistening Mediterranean shorelines, and a sun-drenched climate. Bring your bathing suit, get those passports ready, and prepare yourself for one of the more heart-pounding, adrenaline-inducing trips of a lifetime! Plan Your Euro Tour Today! Add an exhilarating excursion to Monaco to your Euro Tour with Cosmopolitan, Explorer, and Continental. It’s never too late to get a taste of a multitude of exciting cultures! This entry was posted on Tuesday, May 24th, 2016	at 1:54 pm	. You can follow any responses to this entry through the RSS 2.0	feed. Both comments and pings are currently closed.